The Dune CL540H is an additional handset for the Dune CL540 and CL540A cordless phone systems. This handset cannot be plugged into a telephone line, and will not work without a base station (The main unit with answering machine is available here; and the main unit without answering machine is available here).As is the case with most DECT systems, you can register as many as six handsets to a single base station. 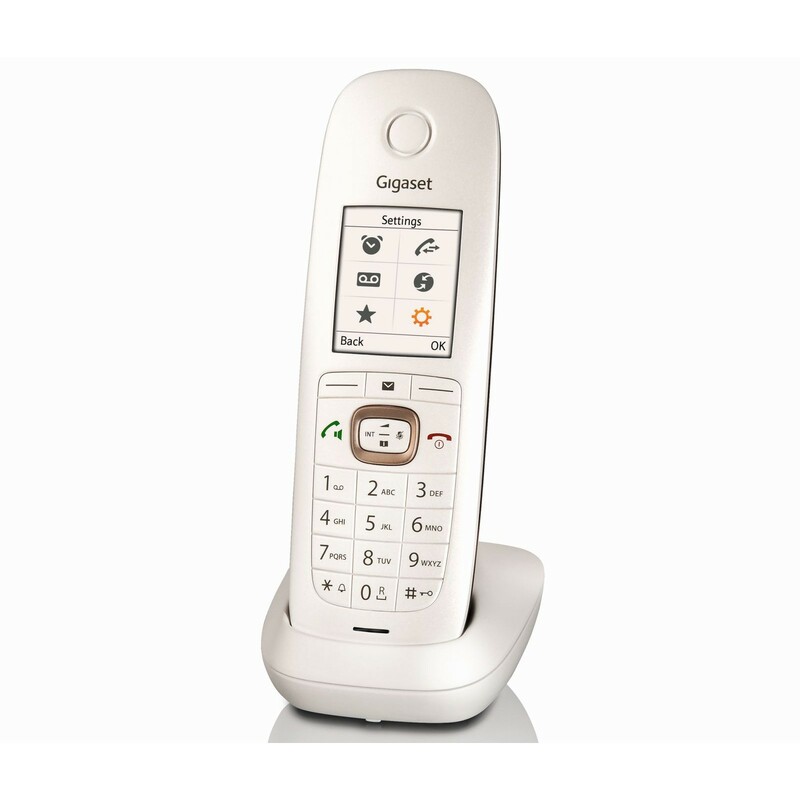 This handset ships with a compact and stylish charging dock that matches the clean pearl­white design of the base station and other handsets. With memories for up to 200 names and numbers in the phonebook of the Dune CL540H, you shouldn't have to worry about running out of space. You can easily browse through your contacts using the large, backlit colour display, and you can configure the two direct access buttons to send you directly to your favourite functions. Why Should You Buy this Cordless Handset? The Dune CL540H is suitable for anyone who wants to extend their Gigaset Dune CL540/CL540A cordless phone system with an additional cordless DECT handset.